Congratulations! You just made a great investment in educational tools you, your staff, or your institution have at hand for professional development, instructional coaching, blended instruction, and more! The way you will access your new software and tools will depend on what you purchased and from where. Below you will find a description of each package and the steps to access your purchase. If you upgraded to Swivl Pro or Pro Plus using the “Upgrade” button from within your account (while you were logged into http://cloud.swivl.com), you have subscribed on a rolling basis, either monthly or annually. Your credit card will be billed each month or year, based on the date of your subscription. If you purchased Swivl Pro online at http://swivl.com/store/, through one of our Sales Representatives, or through one of our partners, your software upgrades will take the form of license codes, which you will need to use to activate individual accounts (one code per user account). You will receive your codes on your emailed receipt once your order has been processed and shipped, or if you did not order any hardware, you will receive this email as soon as the order is processed. You will receive an email with the subject line “Your Swivl order receipt”. Within this email you will find your list of Swivl Pro codes. To use your codes, you will first need to sign up for a free Swivl account at http://cloud.swivl.com/register. If you purchased 10 or more Swivl Pro licenses, much of the above will still apply, but you will receive the codes in a spreadsheet in an email sent by a member of our Operations Support team rather than in an auto-generated email from Swivl's ordering system. Please contact your Sales rep for this spreadsheet if you purchased through one of our Partners. Once a Team Account has been purchased, your Sales Rep at Swivl will work with you to determine a Team Administrator. If you purchased through a partner, let them know who you desire to be assigned the Team Administrator license. 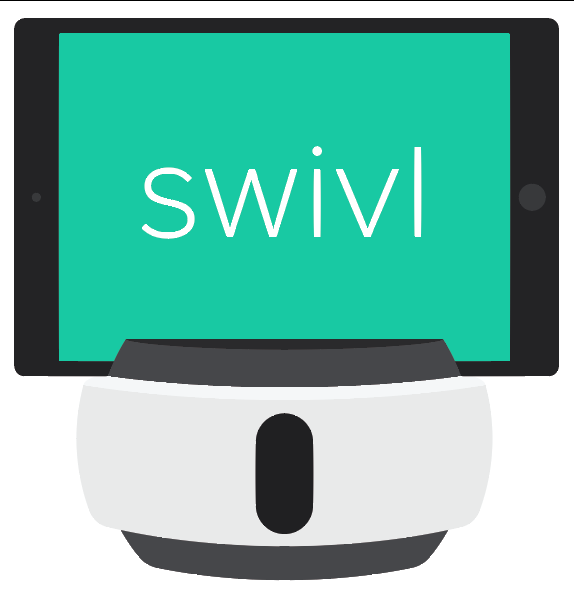 The Team Administrator(s) that you designate will be sent an email from Swivl with instructions on how to setup their Admin account. After the Team Admin account(s) has been created, a member of our Customer Success Team will contact your Team Admin(s) to offer resources for customization and configuration of the Team account and provide implementation and planning guides for your successful video program. Swivl is a subscription service and will need to be renewed periodically. How you will do this also depends on how you purchased initially. When you upgrade your individual account from within http://cloud.swivl.com by credit card, your account will renew on a rolling basis (either monthly or annually, depending on the plan you selected). This will continue to renew until and if you decide to cancel or switch plans. All other Swivl purchases are annual subscriptions and will be renewed yearly. As the expiration date for your account approaches, you will be notified through our system via email. If you subscribed to Swivl Team, your Admins and Members will be notified as the expiration date approaches, and a member of our Account Management Team will reach out to facilitate the renewal. To renew your Swivl Pro accounts, please contact us at sales@swivl.com.